A group of 14 community leaders and aspiring social entrepreneurs have started their journey to develop social enterprises, as part of a programme called Thrive Tairāwhiti. Thrive Tairāwhiti is a four-month development programme for people interested in developing the skills to start a social enterprise: a purpose-driven organisation that trades to fulfill social or environmental goals. Thrive Tairāwhiti is being delivered via a partnership between Ākina Foundation and Eastland Community Trust, supported by New Zealand Post and Kiwibank. Ākina venture manager Emily Preston said the first set of workshops, held in Gisborne on 26 and 27 July, demonstrated the potential of the region. “The participants have an incredible wealth of knowledge about their local communities, and their experience with business and desire to lead positive change put them in good stead for developing successful social enterprises." The next set of workshops in the Thrive Tairāwhiti programme will be held in Tolaga Bay on 6 and 7 September, at the Tolaga Bay Inn. Ms Preston said New Zealand Post and Kiwibank’s support meant Ākina could work alongside local partners to develop social enterprise hubs and deliver capability building support. She said that a network of Social Enterprise Supporters, including from Te Puni Kōkiri, Maori Women’s Development Inc and Activate Tairāwhiti, have come together to generously offer their time and expertise to help participants in their journey. “Between the workshops, participants take charge of their own learning, and around 10 supporters who are entrepreneurs or from local business support agencies have offered mentoring, coaching, meeting space and other types of practical support to help the participants stay connected and develop their social enterprises." Ākina had run a similar Thrive programme in partnership with the Far North District Council last year, and with Te Tihi o Ruahine, a Whānau Ora provider, in the Manawatū earlier this year. “Social enterprise offers a way to deal to the problems we face through a sustainable business model – it’s a hybrid between business and charity – and our experience is that Thrive participants come with great ideas,” she said. Ms Preston said the Thrive Tairāwhiti programme was for people with the ambition to create a social enterprise that aimed to address a specific social or environmental problem. This included whānau, hapū and iwi members, local business leaders and community leaders who wished to leverage business to achieve positive outcomes for their community. “Social enterprise is business for good – it’s business with a social purpose at its heart. Partnering with Eastland Community Trust makes sense because we can use the power of business to bring about sustainable social change,” she said. Find out more about the programme at www.akina.org.nz/tairawhiti. Our mission is to grow the emerging New Zealand social enterprise sector and our vision is for a sustainable, prosperous and inclusive world. 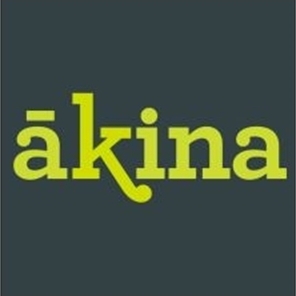 Our name, Ākina, is a Māori word meaning a call for bold action. We believe social entrepreneurs and social enterprise represents a powerful opportunity to build a new economy that regenerates the environment and creates social foundations for people to thrive. We offer a range of services for people starting out, social enterprises already operating and those ready for impact investment, and work alongside with a diverse set of organisations and partners. In support of social enterprise, we call for bold action, lead by example, and commit to our values: being honest, ambitious, determined, ingenious, collaborative, and humble.